Aluminum Wheel Polishing at Pete’s Tire Barns. 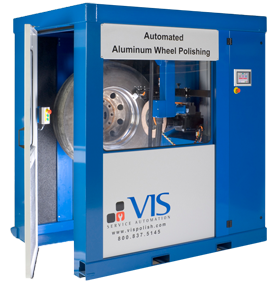 We are pleased to announce our new automated aluminum wheel polishing system from VIS. The VIS polish system revives old rims through cleaning, sanding and polishing. 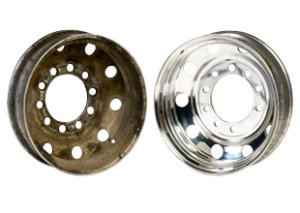 The VIS-Polish is an automated wheel polishing system that restores aluminum truck and bus wheel rims to a mirror-like finish. The VIS-Polish system will also quickly refurbish road-weary wheels to reveal any hidden damage such as cracks between the bolt holes which can be detrimental to the safety of your wheel rims. To learn more about our polishing of aluminum wheels, contact any of our nineteen Pete’s Tire Barns locations today.